Cicerone – Ray Daniels Interview, Ep. 187 | Beer America TV - Craft Beer in Motion! 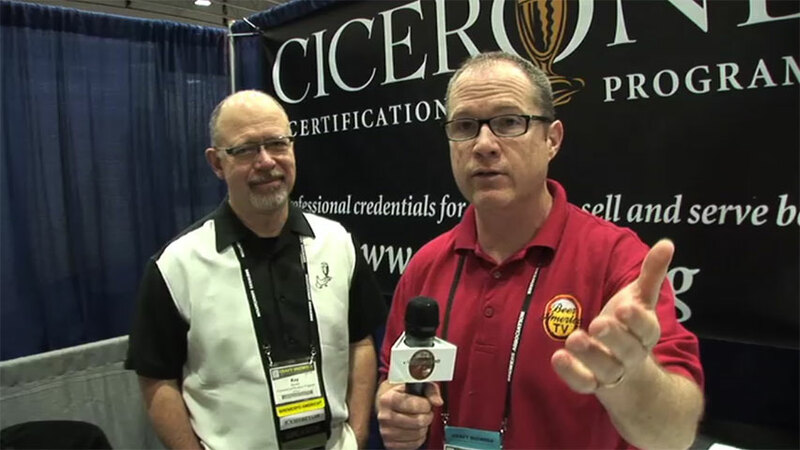 Have you ever wondered what it takes to become a Certified Cicerone? This week on Beer America TV we talk to the founder and Program Director, Ray Daniels, about what the test is all about, how difficult it is, and why it’s a certification worth getting if you work, or would like to work, in the beer industry! Oh, and you’ll want to watch towards the end on how to deal with receiving a not so “beer clean” glass when you go to your favorite beer bar!! Damn dude, if you were in DC you and Pinkerton could’a stayed at the house for free. Let me know next time. A buddy of mine lives next to the guy who owns a hops farm (and Frederick Brewing Co.). Maybe I can hook you up. Good interview. Thanks Chris, we appreciate that!!! So what’s the deal guys? All done posting vids? I wouldn’t say we are done, but since I (Paul) got my job as the Executive Director of the New York State Brewers Association, I’ve been really busy getting that position up and running. John is in Savannah and we haven’t gotten together much, but we both want to continue this! I have about a dozen unedited episodes I need to dive into and edit and you have just motivated me to do so, so thank you! Love the series Paul! Looking forward to the next episodes! Thanks for posting this interview, and for the beer clean glass edu at the end. The other issue I find way too often, is beer served too cold. This is a frequent problem here in Australia where macro beers are all of tasteless lager variety from a hot country. Sure, in the height of summer, working outside, this is perfect. But, when you want an ale, its still served at lager temps. Sorry guys, no idea! Maybe I am just being pedantic. I am guessing Cicerone addresses correct serving temperature as well? Cicerone does address this. Cold numbs the pallet, that’s a fact, so why do you think the folks at Coor’s insist on pushing this in all of their advertising? I’m not saying they brew bad beer, it’s just a beer you don’t want to drink above 40 degrees.